For those of you visiting Melbourne for the first time, or even for those of you who have lived here for years, there are many parts of the city to explore and it is easy to find yourself lost in a laneway that you have never seen before. While it is a lot of fun to explore these lanes by chance encounters, there is an easier way if you want to know where you are going. You can pick up a guided map from the Melbourne Visitor Booth in Bourke Street Mall, or you can download it, along with a podcast from here. It is amazing to find places on the Arcades and Lanes tour that you may never have otherwise found, or to wander down lanes that you may never have considered. 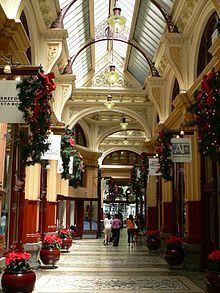 For example Hardware Lane, Centre Place, Block Place, Royal Arcade or Block Arcade. 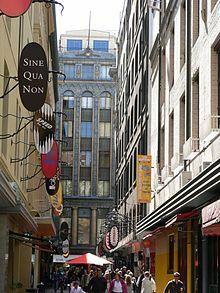 A personal favourite among all of these streets is Degraves Street. With its vibrant cafes and varied aromas you won't be sorry you tried it. You will see all different types of people from businessmen and women, to bohemian university students – everyone has a place in this street.